The shutdown showdown has been headline news, reaching a historic length of time, as Republicans and Democrats argued over funding for the border wall along the U.S.-Mexico border. Such standoffs are no way to govern and damage our national and economic security, and the confidence people have in our institutions. Though the government is reopening, disagreements about border security continue. The impasse we face can be easily resolved if both sides would come off their all-or-nothing positions and work together to reach a compromise. There must be funding for the border wall and resources for stronger border security. There will also likely need to be concessions on DACA (Deferred Action for Childhood Arrivals) and Dreamers’ legal status here in the United States. This issue is not difficult, but it’s made difficult by an unwillingness to negotiate reasonably. In Congress, I’ve long supported border wall funding, increased resources to our border agents and passing measures that would strengthen our border security. I think shutting down the government is stupid and, as such, I voted for appropriations that would open parts of the government — not related to the border wall — to ease the burden on employees affected by the shutdown and ensure programs are operating, like our National Parks and IRS tax returns. I voted in favor of these measures because it was the right thing to do; I voted on the merits of the bills – not on party politics. In the coming weeks, I’ll take a brief two-week leave of absence from Congress to join my Air Guard unit on a mission along the southern border. Currently, our National Guard footprint on the border is minimal. I’ve seen first-hand the areas where our border is not secure, and I’ve been part of missions targeting drug-cartels that had easy access, coming over in cyclical groups. This problem is real, but our response can be improved if we utilize our resources more efficiently. National security is our top priority. So if we’re looking to strengthen our border and improve the situation there, we need to call on our National Guard units, and implement a strategy to work together more effectively. As a Guard pilot, I fly the RC-26 — the only aircraft in the Air Force inventory that can do Pillar I of the president’s National Security Strategy, which includes counter-drug and border security for both state and federal missions. 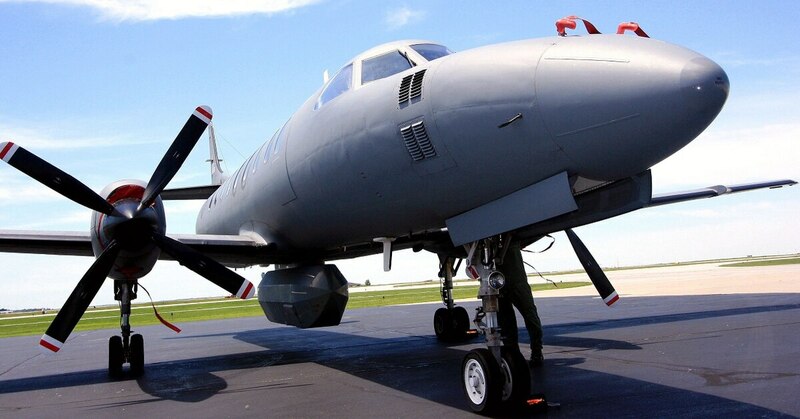 Despite the important abilities of this reconnaissance plane, Air Guard officials announced they’ll be removing it from use, and will do so quickly. Their announcement was made quietly, as the country’s attention was drawn to the government shutdown focused on the issues on our southern border. Congress supports the RC-26. In December 2016, 30 members of Congress sent a letter to the National Guard Bureau and Air National Guard to protect the RC-26 — to keep it in our inventory and in use along the border. I’m sure the president would be surprised to learn of the Air Guard’s decision to retire one of our most valuable aircraft for border patrol missions. As I prepare for my reserve duty next month, I’m hopeful that it won’t be my last mission with the invaluable RC-26. I implore the Air Guard to recognize the merits of this aircraft and its value to our national security. Adam Kinzinger, a Republican, represents Illinois’ 16th Congressional District in the U.S. House of Representatives. He is also a major in the Air National Guard.